On Thursday, the New York Times reported that Jared Kushner — already the winner of a real-estate empire by birth, and a senior White House position by virtue of marriage — received a top-secret security clearance by direct order of the president, upsetting the standard independence of the process, and overriding officials’ concerns that Kushner could be compromised by a foreign influence. According to four officials who spoke with the Times, in May 2018, then–White House counsel Don McGahn recommended to the president that his son-in-law not receive the top security clearance, after an FBI background check determined that foreign officials could possibly maintain some sort of sway over Kushner, due to his business holdings. 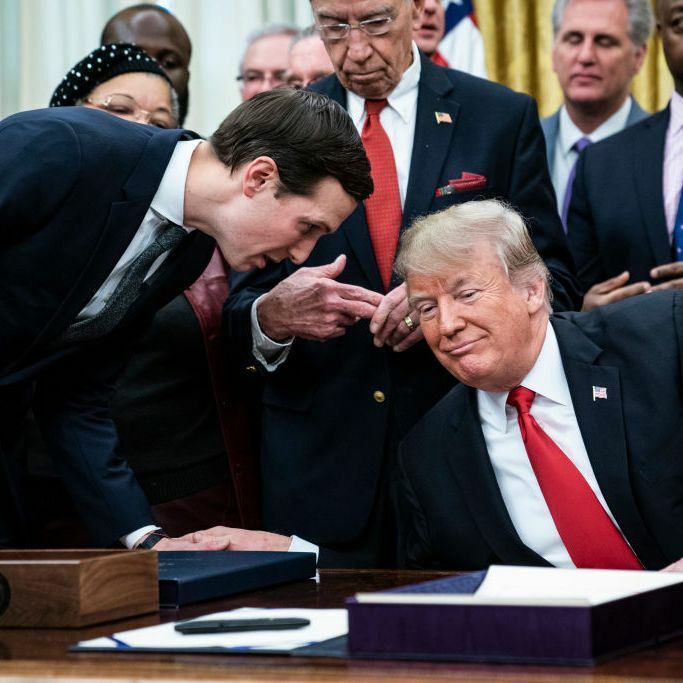 The next day, President Trump ordered then-White House chief of staff John Kelly to override concerns and grant Kushner the high-level clearance. The action was such a concern to McGahn and Kelly — who both left the White House in 2018 — that each wrote up an internal memo outlining the precedent-breaking action. Democrats in Congress immediately announced that they are prepared to examine the process by which Kushner received his clearance. “The Committee expects full compliance with its requests as soon as possible, or it may become necessary to consider alternative means to compel compliance,” said House Oversight Committee chairman Elijah Cummings. “There is no nepotism exception for background investigations,” said Adam Schiff, head of the House Intelligence Committee. Perhaps the strangest result of the report was a comment from Peter Mirijanian, a spokesman on behalf of Kushner’s lawyer, Abbe D. Lowell. Mirijanian said: “In 2018, White House and security clearance officials affirmed that Mr. Kushner’s security clearance was handled in the regular process with no pressure from anyone. That was conveyed to the media at the time, and new stories, if accurate, do not change what was affirmed at the time.” It’s unclear if a spokesperson for a lawyer for a billionaire describing how truth on a matter does not evolve with the presentation of new details is a snippet from Kafka or Borges or Orwell, or just a moment on a soon-to-be-forgotten Thursday in the Trump era.